The South Central Kentuckian of the Year Award annually honors an individual or organization for excellence in leadership as demonstrated by outstanding initiative, impact of work and inspiration of others. The purpose of this award is to honor people in the community who are making significant contributions through their life’s work. Every day people in our community make a difference. We want to celebrate these people who make giving back a priority for themselves, their family or their business. Four Irish immigrants, John J., Peter J., Thomas J. 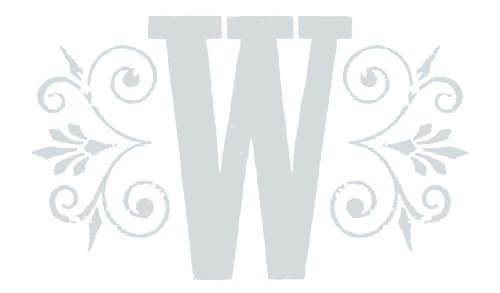 & William J. Murphy established a limestone business in Bowling Green, KY, circa 1886. They were stone masons and engineers known as the MURPHY BROTHERS COMPANY. The brothers operated a stone quarry where they removed and cut limestone for many of the initial infrastructure projects in South Central Kentucky and other parts of the Commonwealth. Many of the buildings, first constructed more than a century ago, remain today as a testament to the foundation upon which they sit. Some of the most notable are State Street Methodist Church and the Burton Memorial Baptist Church. In addition to buildings, the Murphys quarried and cut the stones for the street curbing for many communities including Bowling Green. When John J. Murphy’s grandson, G. Michael Murphy began his career in construction in 1976, any opportunity to salvage these “stones of the foundation of our community” was preserved as a memory of their family’s business beginnings in South Central Kentucky. 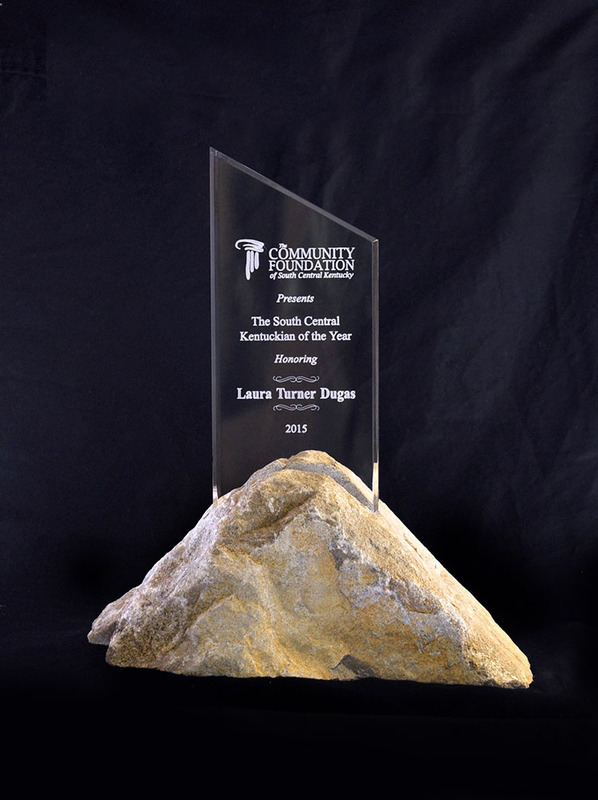 Just as the philanthropic work of the individuals who receive this award are foundational to their community, the base of this award is salvaged limestone and is intended to represent the purpose of The Community Foundation of South Central Kentucky. In 2017, Col. Robert and Cora Jane Spiller were honored as the South Central Kentuckian of the Year. Col. Spiller was born in Philadelphia, Pennsylvania and Cora Jane was born in Louisville, Kentucky in 1928. Cora Jane grew up in Bowling Green, Kentucky where she went to school from first grade through college graduation at Western Kentucky University where she met Bob in 1950. They were married in Bowling Green, Kentucky in 1951. For the next 30 years they moved around the world due to Col. Spiller’s position in the service and ended up back in Warren County where they call home. Their dedication and service to this community has been shown through their involvement with the Salvation Army, The Boys & Girls Club of Bowling Green, The Houchens Center and the American Red Cross. 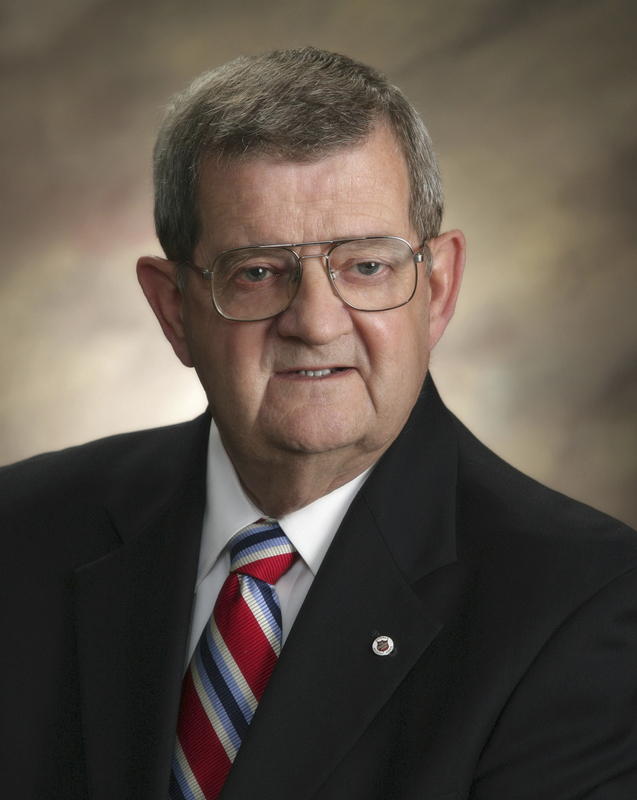 Bob Kirby is the fifth honoree selected for the South Central Kentuckian award given by The Community Foundation of South Central Kentucky. Several community members, friends and family gave him a standing ovation during the luncheon honoring him for his individual contributions to the community and philanthropic causes. . The South Central Kentuckian of the Year Award annually honors an individual or organization for excellence in leadership as demonstrated by outstanding initiative, impact of work and inspiration of others. The purpose of this award is to honor people in the community who are making significant contributions through their life’s work. Bob was born in Murray, Kentucky, but has been a resident of Warren County for most of his life. After graduating from Bowling Green High School in 1951, he served as a Sergeant in the 25th Infantry Division in Korea. After military service, he graduated from Western Kentucky University in 1960 with a Bachelor of Science degree in Commerce and from the National Graduate Trust School at Northwestern University in 1978. He and his wife, Norma Jean, have four children; Kent Kirby, Kim Kirby, Kay Roberts and Gena Gooding. They also have six grandchildren and three great-grandchildren. 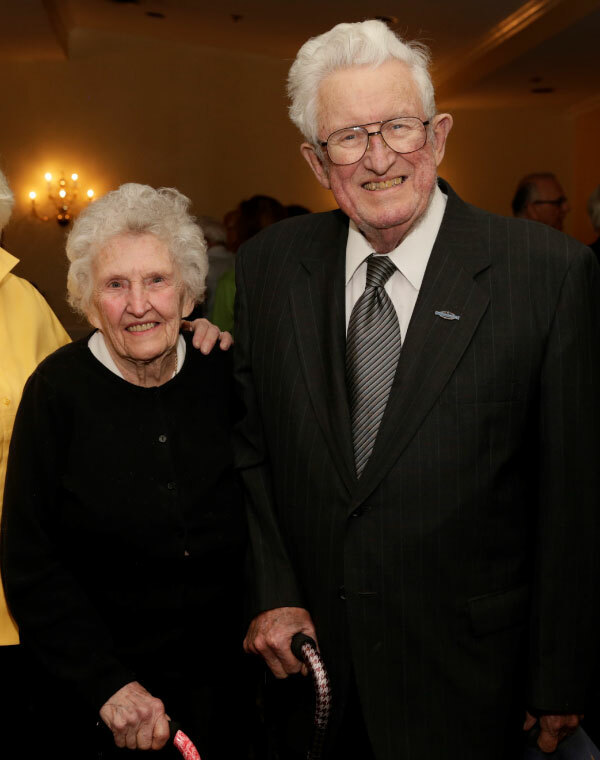 Bob and Norma Jean have been married for 64 years. Laura Turner Dugas is the daughter of Laura Goad Turner, and Cal Turner Sr., the founder of Dollar General. A native of Scottsville, Laura has served as the chairman of the Laura Goad Turner Charitable Foundation since its founding in 1989. 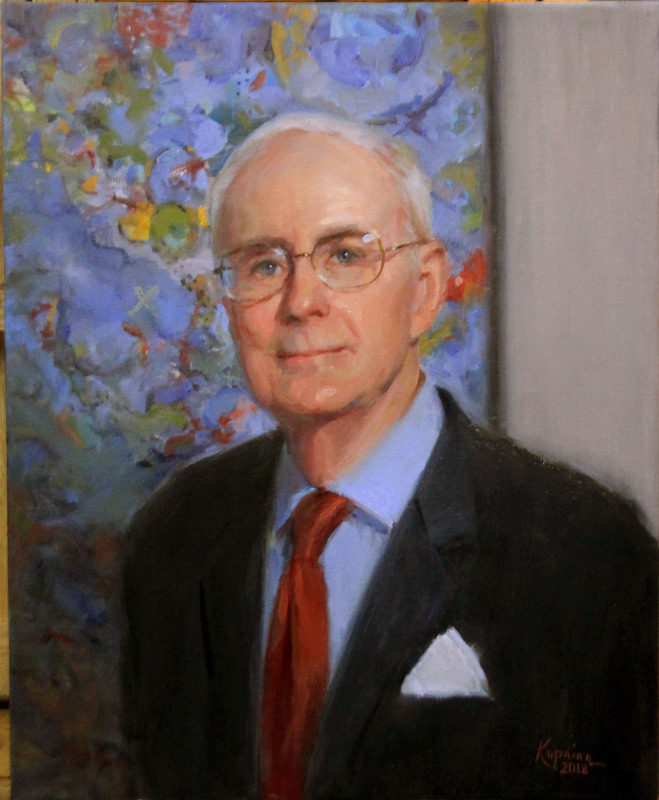 Established by Cal Turner in honor of his wife, the Foundation is an important source of philanthropy in Allen County and South Central Kentucky. 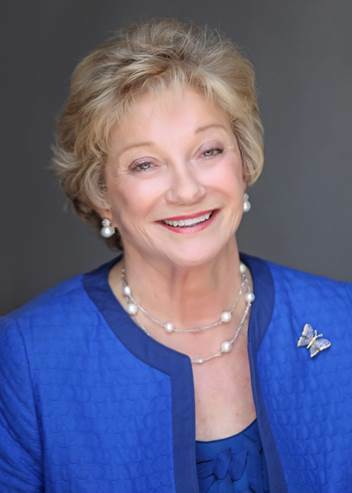 Under Laura’s leadership, the Laura Goad Turner Charitable Foundation has been a lead funder for services devoted to the citizens of Allen County. Non-profits and civic institutions with which the Foundation has partnered include: Allen County Public Schools, B.R.A.S.S., Community Action of Southern Kentucky, the Core, Haven4Change, Heart of Scottsville, Kentucky Legal Aid, the Scottsville Medical Center, and the City of Scottville. Four different scholarships serving graduates of Allen County Scottsville High School have been endowed at the College Heights Foundation, and the Laura Goad Turner Charitable Foundation has made significant investments in both SKyPAC, and the Community Foundation of Southern Kentucky. In 1998, Laura and her husband Wayne Dugas established the Dugas Family Foundation. Philanthropy is an authentic family trait, with sons Foster, Steve, and the late Bruce Dugas all having served on the Dugas Family Foundation board. In Northwest Florida the Dugas have provided transformational funding to the Alaqua Animal Refuge, Children’s Volunteer Health Network, Mattie Kelly Arts Foundation, Okaloosa and Walton County Schools, Pace Center for Girls and Sacred Heart Hospital. n Middle Tennessee, the Dugas Family Foundation has made charitable investments in Abe’s Garden, Nashville Education Community and Arts Television, the Nashville Zoo, Saddle Up!, Second Harvest Food Bank, and Walden’s Puddle. Laura has always been humbled by the responsibility of serving as chairman of her family foundations, taking the opportunity to serve others in the community very seriously. Honored to be recognized as the “South Central Kentuckian of the Year,” Laura Turner Dugas does on behalf of her family, and the past and present members of the Laura Goad Turner Charitable Foundation board.